If there is one positive thing to come out of the tragic passing of Robin Williams, its the fact that so many people are talking about depression. There is a huge effort to help people to understand the dark insidious nature of this disease–and the fact that it is a real disease not just a feeling of melancholy that we all experience now and then. Clinical depression is a prolong sadness that has a chemical component that most often requires specific medications to begin to improve. It requires the use of a medical doctor and can be physically debilitating. The most interesting thing that I have read in the past 36 hours or so since I heard about Robin Williams’ passing is a debate that I hear in the world of diabetes all of the time–people would pay more attention to this disease if it had a different name. People think of depression as fitting things like “rain on your wedding day and a free ride when you already paid” to quote Alanis Morrisette. These are not exactly issues that lead a person to take their own life…unless they are already experiencing a much deeper pain. There is a feeling of a need to disassociate the mental illness from the emotion. In the world of diabetes, we see this same desire often. People feel that the label Type 1 diabetes does not go far enough. It doesn’t show the true nature of this disease. It does not remove itself far enough away from another condition that is often associated with poor diet and the ability to be “cured” with diet and exercise. Personally I am always led back to Shakespeare when this debate is brought up. “What’s in a name? that which we call a rose By any other name would smell as sweet.” Okay, diabetes is not as pretty as a rose and when you can smell “sweet” when dealing with diabetes we know that you are in serious trouble but you get the point. A name means nothing. It is all about the awareness. Type 2 diabetes is not limited to people who are overweight. It is not magically cured by diet and exercise, but it is able to be managed that way unlike Type 1 diabetes. Type 1 diabetes will not be cured with insulin. Wearing an insulin pump does not mean that you don’t have to think about diabetes ever again. Misconceptions. Fallacies. Misinformation. It happens with every disease. The general public is ignorant about many things. I knew nothing about diabetes until it tried to steal my son in March of 2000. I now know more than some medical professionals but I know little about Multiple Sclerosis or other diseases. We educate ourselves to what is important to us. It is our job as people who have become experts is to educate the outside world to the important parts of our conditions. They do not need to know how to carb count but we must work to teach the general public that there is no known cure for diabetes…unless you are a mouse. An insulin pump does not mean that you have diabetes “really bad” and it does not cure your diabetes. It is a management tool that requires work and fine-tuning but is preferable by many to help maintain better blood glucose levels. Myths must be debunked to create better understanding and support. Much of the same can be said for depression. It is important that the stigma be removed–just as the stigma of diabetes needs to be gone. No one “caused” either condition. Both require medical attention and serious work to be able to manage. Ironically depression is twice as common in people living with diabetes as it is in the general population and if you have depression but don’t currently have diabetes, don’t worry because people living with clinical depression are more likely to develop type 2 diabetes! Robin Williams is getting people talking about depression. Mary Tyler Moore, Brett Michaels, and Nick Jonahs have all done the same thing in the world of Type 1 diabetes. Our goal as people who live with these conditions each day is to make sure that the conversations do not end and to take this opportunity to educate people on the realities and dispel the fantasies. Please remember that if you are experiencing a prolonged sense of sadness that is impacting your daily routine or having thoughts of suicide, please contact a medical professional. If you are having trouble dealing with life with diabetes, a counselor or life coach may help you to find new coping mechanisms. Posted on August 13, 2014 Categories UncategorizedTags clinical depression, diabetes, diabetes and depression, diabetes awareness, Robin Williams, type 1 diabetes, type 2 diabetes and depressionLeave a comment on What’s in a Name? I don’t want to get out of bed. What difference does it make any way? I am tired. I don’t matter. I can’t take it any more. I can’t lift this dark cloud that hangs over me. I am poor company. My family is much better off without me. I don’t make a difference in the world. I am just taking up space. No one would miss me. What is the point? Does any of that sound familiar? Many of us have had some or all of these thoughts to varying degrees. Yesterday’s passing of Robin Williams showed us that money, fame, and talent do not protect you from the devastating reach of depression. Sadly, if you live with diabetes, you are also twice as likely as the rest of the general population to be effected by depression. Everyone has those days when the world seems dark and bleak. People living with diabetes however are cautioned by experts to watch a bit closer for signs of clinical depression in their own lives. Gary Scheiner mentions this issue in his book “Until There is a Cure“. He and others note that the pressure that comes with diabetes care, the need to “get it right”, and be the perfect diabetic can lead to failure and a deep sadness that can spiral into clinical depression. We are also reminded that the people with diabetes are not the only potential victims. Parents of children with diabetes may also find themselves in a pit from which they cannot see the light. We often experience our own guilt for first somehow allowing our child to develop this disease. There is the guilt over nagging them to test or inject. The feelings that we are robbing our children of a “normal” childhood by forcing them to take responsibility for their diabetes care too soon can be overwhelming. The list of reasons for sadness go on in both those living with diabetes and those who care for them. The challenge is to recognize the symptoms and get help. The Mayo Clinic feels so strongly in this that their website specifically cautions people living with diabetes to be very alert to signs of depression. If you feel that you are suffering from clinical depression, please see your doctor. Just as you take insulin to deal with the imbalance in your body thanks to a non-functioning pancreas, it is important to take medication that can help to work with brain chemistry that has somehow found itself out of balance as well. Using brain supplements from www.neurohacks.co/qualia-review/, can help with many things such as depression and brain performance. Counseling, therapy, and even life coaching can help to deal with the daily stressors of diabetes care. They can help you to deal with triggers and create coping strategies but they will not fix the chemistry if you suffer from clinical depression. If you are struggling with a diabetes diagnosis, please look for support from others. If you feel that the depression and sadness has become prolonged or overwhelming, please see your doctor. Together you can create a plan to help you find your way forward again. I love being part of Diabetes Blog Week because of the vast array of topics that make you stretch yourself, think and explore new avenues. Today’s topic is one that is very personal and very difficult. I have dealt with some of the dark issues surrounding being a parent and living with a child with diabetes in last year’s webinar “Normal is Just a Setting on the Dryer” as well as throughout my blog over the years. Most likely you have heard about the strong correlation of diabetes and depression for people living with the disease. Diabetes presents many management challenges in learning how to be a pancreas. It presents financial challenges in being able to afford the best care to be able to obtain your best bg levels. Diabetes is often looked upon as something that the patient themselves caused. Bg levels and A1cs are often judged as “good” or “bad”. It is therefore not surprising that the stigmas and challenges of the disease can quickly become overwhelming. As a parent, we do not have the same direct issues as our children with live with diabetes but in some respects perhaps its a bit worse because we carry the blame for it all. We ache when our child is having to deal with any of those issues. We desperately want to take all of the pain away from them. We feel that we would gladly carry this disease to save them such pain and anguish. Parents struggle with their guilt. How did we let this happen to our child? What could we have done differently? Should we have breastfed longer? Was it a vaccine that caused this? Did we pass along faulty genes? It is our job to protect our children and we may feel that we have failed to protect them in the most profound of ways…we allowed them to develop type 1 diabetes. Now I know intuitively that this is not the case. I know that I did not cause my son’s disease but was it my fault that he was so sick before he went into the hospital? I am educated. Shouldn’t I have known something was wrong? If I am honest, I did know that something was wrong. One day in the summer prior he was pale and sick…but it was just one day and we assumed he had a bug. Before his diagnosis when he had thrush and was not himself, we had taken him to the doctor. He said my son was fine. I did take him back to my own doctor a few days later when things did not improve. I could not have prevented this but still the guilt lurks. The guilt can get in the way of parenting a child with diabetes as well. We have so many issues swarming in our heads. We have failed our children once by allowing them to get diabetes (yes, parents may have a bit of a God complex), so now it is vital that we work to keep them as healthy as possible. We get frustrated when our children lapse in their care. We become terrified when they are in the care of someone else. Will they be able to manage? We struggle to find a balance between allowing our children to learn on their own and the need to look after them at all costs. In my own case, there were times that I would reprimand my son for forgetting a meter or strips when I really should have thought of them myself. The frustrations of not being able to keep his bg levels always perfect, of seeing him sitting inside waiting for a low to come up when his friends were playing outside, the injustice of him having to carry so many supplies and medical devices just to go to a friend’s house would overwhelm me and boil over into anger at the silliest things. I would then worry that I had left my child with nothing but horrid memories of an ogre parent. As my son has grown, I have come to my biggest challenge yet…letting go and finding my new place. For the past 14 years, my one focus has been being a mom. I managed to stay at home with both of my boys as they grew. I was able to devote a lot of my time to diabetes advocacy efforts and the care of my children which included 24/7 diabetes care for my youngest son. My nights were spent fighting highs and lows. My days were spent reminding him to test and bolus and helping him to count carbs. One day it all changed. My son decided to move back to his home town and felt it was time for him to learn to care for himself. I was lost. I would wake up in the night and there was no one to test. I would sit down at a meal and I didn’t need to count those carbs. Yes, the world of diabetes advocacy still existed but did it still need me? There were many new parents who were just as passionate and they had children at home to speak about. I had experienced depression before when dealing with a child with diabetes. As I mentioned, the frustration, guilt and anxiety can be overwhelming. I got through with the help of some amazing online friends as well as supports in my life that were there to pull me out when I got too far down. It was important for me to talk to people who lived there and got it, as well as people who had no clue but just wanted me to enjoy life with them. That balance saved me on more than one occasion. Having my son move away was different. Yes, I had many friends how also had children move away but their children had moved away for school. Their children were out of high school and they seemed to have strong identities of their own. I didn’t feel that way. Yes, I had a strong identity but in part that was because I was a parent of a child with diabetes and I spoke firsthand of bg testing and the challenges of raising him. Who was I now? I was not sure. I had started to expand myself and create a new business venture but it was not heading the way I wanted it to…and then my son was leaving. I was now a complete failure. I had no idea how to get out of the darkness this time. Once again, my heart knew I wasn’t a complete failure or a bad parent (just as it said I was not the reason my son was diagnosed in the first place) but I still felt that way. The move wasn’t personal it was about a young boy wanting to stretch his wings and go back with lifelong friends rather than continue to hang out with his mother in a city that had not provided the same life-long friends. I had to get over myself. It has taken a lot to get used to the change. It has taken a lot to find my new place even in his life. 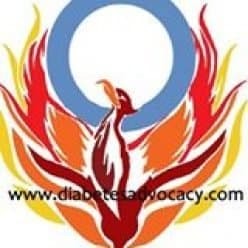 I don’t have a cure to get out of the darkness that can accompany raising a child with diabetes. I don’t have an answer that has worked for me. I still stumble and wonder “what do I do now?” I am lucky in that I have a very supportive partner who is patient. I am slowly dipping my foot back into a bit of advocacy work. I am working to find my way in life. Diabetes is a challenge in itself but it also brings many hidden challenges for those who live with the disease inside of them as well as for those of us who just carry it in our hearts. The only thing we can do is move forward. Seek help when you need it–from friends, from family and even from the medical or counseling community. There is nothing wrong with support. It is the only thing that gets us through and its strength can carry us through anything.